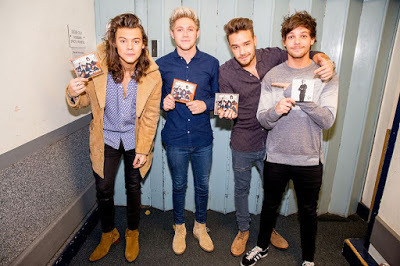 popmusiclife: AUDIO: Stream new One Direction album Made In The A.M.
One Direction have issued their new album, “Made In The A.M.”, and popmusiclife is presenting a stream of the full record via Apple Music. The band’s fifth studio project was previewed with videos for the lead single, “Drag Me Down”, and the follow-up tune “Perfect”, as well as several other tracks in the days leading up to its official release. The project will be the group’s last before taking an extended hiatus in 2016. Listen to “Made In The A.M.” in full at Apple Music.